Peace Matunda Tours operates cultural tours in the spirit of eco-tourism. Mainly walking and mountain bikes will be used. 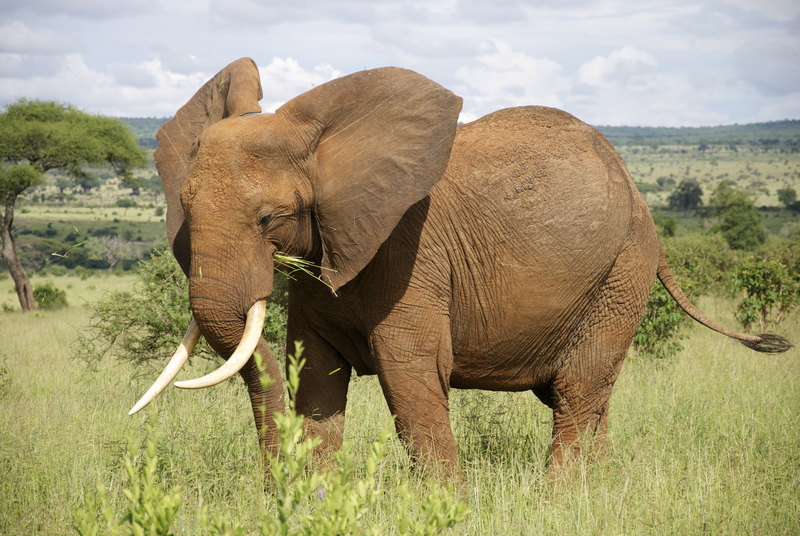 If you want to get a close encounter with nature, areas like Meru are ideal. It is well suited for walking safaris in terms of landscape and culture. You will experience endemic fauna and flora and interact with the local people. 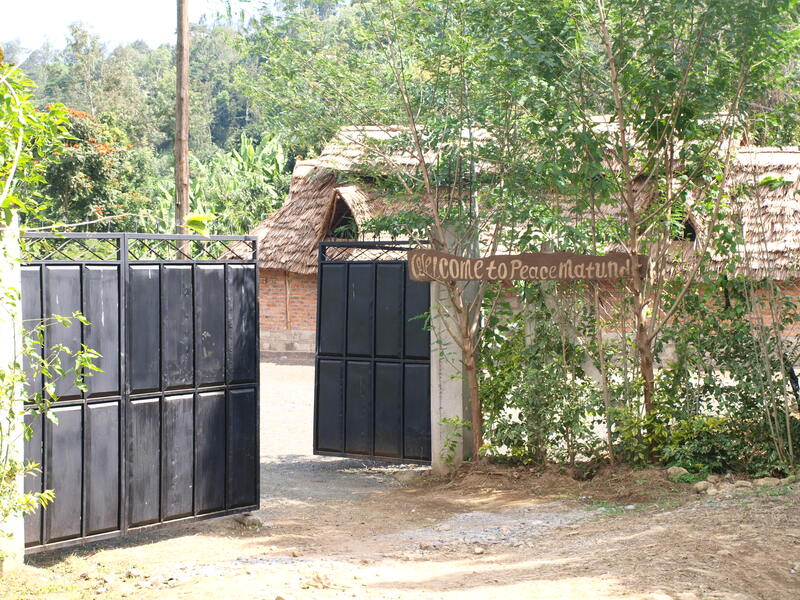 In this half day visit, you will be invited to coffee and banana plantations owned by local people. 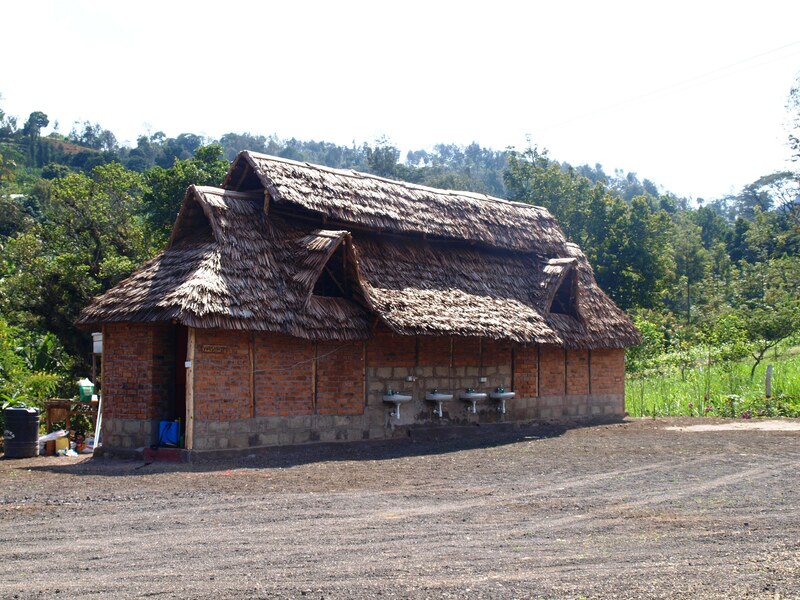 You will also visit families producing local brew by using finger millet and banana. This is followed by a one-hour hike to the Lodemi Waterfalls; one of the most beautiful waterfalls on the slopes of Mount Meru. The tour is finishes at Matunda Cultural Tourism home base where you will be served a home-cooked traditional lunch. You will also get the chance to try our freshly made coffee. The coffee is locally grown and will be processed in front of you; from the newly picked beans to your coffee cup. You can also buy fresh-ground coffee to bring with you and share with your friends back home. The full day tour includes the half day cultural tour, thena after lunch you can chose if you want to continue the day on mountain bikes (1), walking (2), or if you want to stay at the orphanage to do activities with our kids and learn more about our project (3). (1) For the fit and adventurous, mountain biking through the African landscape is truly an exciting experience. Avoid roads and traffic and ride through the forests of Meru land; up mountains, down valleys, through tiny villages and into bustling market towns. (2) The walking tour continues to Temi Pottery Project in Snig’isi village. The aim of Temi Pottery Project is to keep the Tanzanian Pottery tradition alive. They are manufacturing clay products in a traditional way and passing on the skills through the Temi Pottery School. Their ceramic products, such as candle holders, flower pots, and table ware, are available for purchase. (3) You can also choose to stay at Peace Matunda Orphanage. The children love visitors and will be happy to have you join them in their games. They are very open to new things, so if you want to prepare an activity for them, you are more than welcome. You will also get the chance to interact with our staff and volunteers to learn more about the orphanage. Day 1: Full day cultural tour mentioned above. Day 2: Hike through Mount Meru forest reserves situated at 2000m. As this is a rain forest area, it has a very rich flora and fauna. It is home to many bird species and monkeys. On a clear day, this is also where you can get the best view of snow caped Mount Kilimanjaro. And a splendid view of Mount Meru is guaranteed. 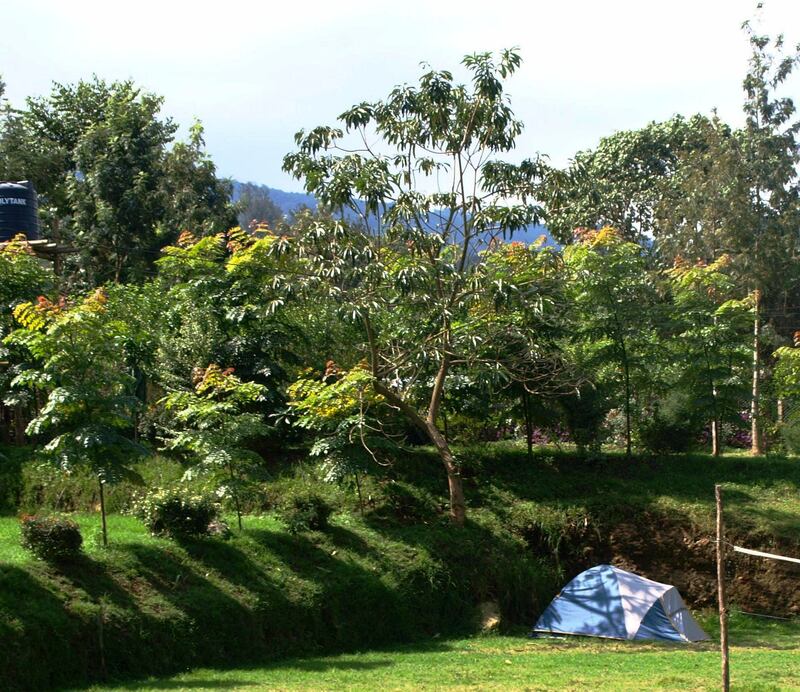 Day 1 and 2 are the same as mentioned above, except the second night will be spent camping at the base of Mount Meru. Day 3: The last day we will be walking back to Peace Matunda Orphanage. If you like to book or if you have any inquiries, please contact Kaaya at director@peacematunda.org. 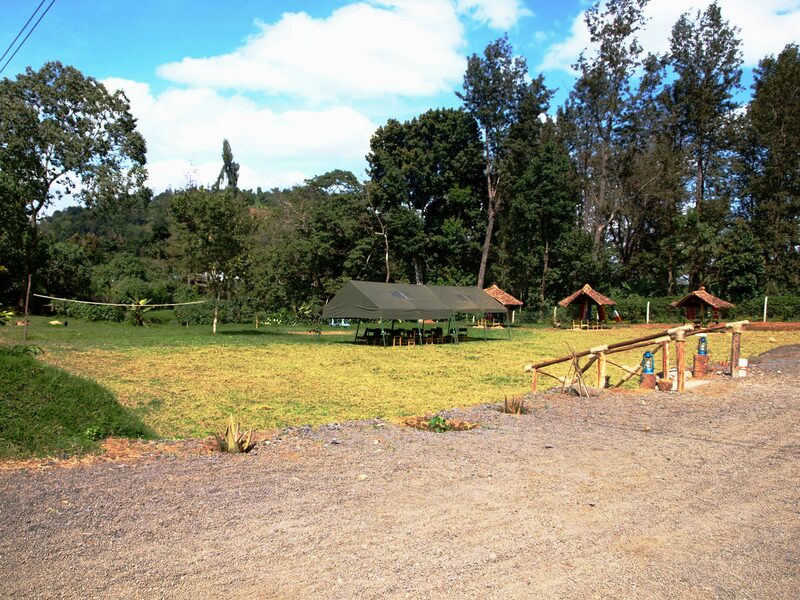 The aesthetically pleasing, gated campsite is in a rural area at the foot of Mount Meru opposite Peace Matunda School and Orphanage. Situated near the village of Kimundo, it includes: a washroom fitted with several toilets, showers and sinks, several seating areas, an open sided marquee with fitted lighting, a volley ball net and a large open space suitable for a range of activities varying from games to dining. 15% of campsite profits will go directly to Peace Matunda School and Orphanage. Recently built washroom fitted with toilets, showers and sinks with both hot and cold water for campsite residence use. Cozy covered seating areas with tables – allowing a space to relax and play games or to sit down for a meal. How well do you know coffee? We like it in France, we are one of the biggest coffee consumer. For me, coffee is the solution of some rough morning where you’d rather lay down anywhere you can to take a nap instead of doing what you have to do. Like many things in our lives, coffee is now part of furniture, the little brown/black powder is stuck on the shelf between his friends “Tea and Sugar” but what do we know exactly about coffee? Kaaya picked us up at our hotel to take us to Nkoanrua a few kilometers away from Arusha. He quickly explained to us what would be our half day program, and after a quick stop to get some coal, we hit the road (bumpy one) to Peace Matunda. Kaaya is a nice man, welcoming, we made the most of our small journey to get to know each other and to learn more about Peace Matunda. So what is Peace Matunda? 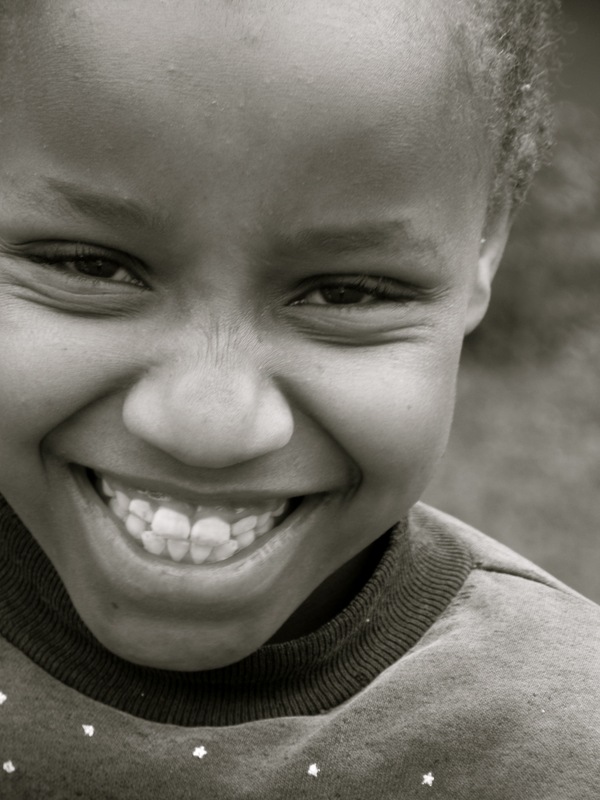 It’s an organization created by Kaaya which includes a school and an orphanage (where we’ll stop by), possibilities of volunteering at the school, offers of tours in Mont Meru or Kilimanjaro, safaris, and the possibility to do cultural tours as the one we did that day! Regarding cultural tours, all the incomes go directly to the school and the orphanage allowing to feed the kids and to keep on giving them the best education. So these tours will allow you to invest in the community welfare being sure your money goes to the right place! Kaaya introduces us to our guide/teacher of the day: Innocent. That young men will take the time to explain to us the “life” of the coffee, from the small seed growing on the coffee bush to how it ends up coffee in our cup. I’ll not give you every details of our discovery, I don’t want to spoil you all the fun before you get to visit Peace Matunda ! Do you know ugali? We thought we did, we were actually sure it was some mix of vegetables we used to eat in Kenya. So when Innocent told us we would prepare some ugali for lunch and when we saw him coming back with water and some white powder we were perplexed. So what really is ugali? Without even knowing it we already had ugali before! But not in Kenya, in Uganda! I don’t remember if I had the chance to talk about pocho, that meal made of maze flour that people eat with the hand with all kind of side dish. We laughed about our misunderstanding and went back to work, as coffee before it, ugali is not the simplest thing to prepare. It’s Kaaya’s wife who starts by mixing some maze flour in the boiling water, she waits a few seconds and Innocent pours more flour in the pan, a lot of flour, and that’s when the battle against ugali starts. As they did with coffee they ask us to take part of the preparation, so I did, squating close to the pan, I begin to mix. It’s already quite hard and seeing me fight against the ugali gave us a great laugh! A few minutes later I’m released from my mission, the ugali is ready. After eating all the ugali we leave Peace Matunda to reach a waterfall hidden in the jungle. We cross the village, stopping by some coffee bush to get to see what Innocent explained us, and we leave the road to get on a small path receding cross the fields. “I can hear water!” Yes, I heard it, at the bottom of the path, and I had no idea about the descent awaiting us (N.B. : avoid Vans for this kind of little tour in the forest, it could spare you some epic skids ). The walk itself is really pleasant. So we take that little path to go down and at the end we climb some rocks to arrive at the foot of a small waterfall. Small but beautiful. Surrounded by plants, you just have to raise your head to see the top of the fall and to picture yourself hundred years ago as a discoverer of wonders in the African jungle. 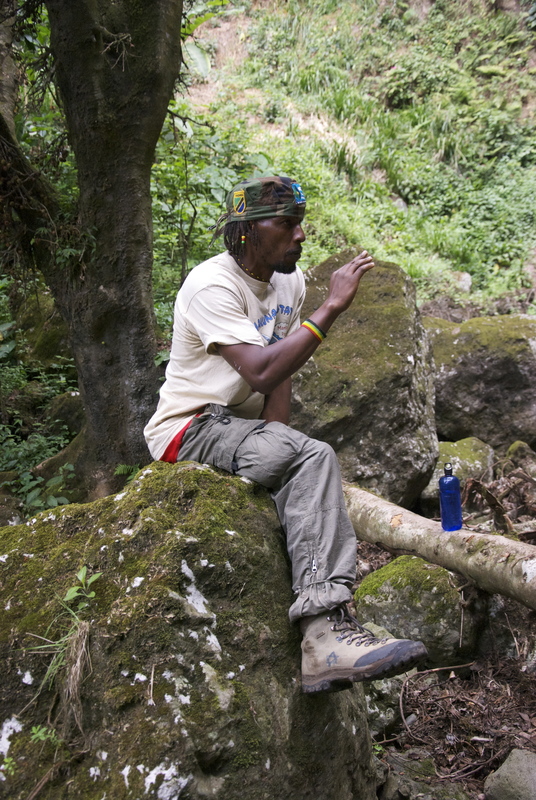 After enjoying ourselves at the foot of that nice waterfall it is time for us to get back to Peace Matunda. “We take the same way?” Innocent answers me positively, ok, I prepare myself to have some good reflexes to avoid slipping again and hurtle down the hill (N.B. : I said no Vans!) We reach the top and are back on the main road and to Peace Matunda. We get into the car thinking our tour day ends here but, surprise, Kaaya tells us there is one last place we get to visit. We cross a new village, lost into banana fields and coffee bush,;it’s a complete jungle in which Kaaya finds his way. For us it’s a labyrinth and we have still no idea about our destination. The car stops in front of a house, a man welcomes us with a giant smile and invites us to follow him. The night falls. Innocent, torch in his hand, leads us to a pottery field. The man is a potter (did you guess?) and he starts to talk to us about his job, his passion. After making us touch his raw material he sits in front of workbench “Do you know clay?” “Yes, we used to use it when we were children at school.” He smiles again, no, that man doesn’t make Mr. Potato half round with eyes which doesn’t hold as we used to do in school, he’s gonna show us the extent of his talent. For several minutes he shapes a vase from a large ball of clay, big vase or small vase, he shows us everything is possible. Patterns? Easy, he adds some. Rims? No problem, he does it in 2 minutes. His knowledge is impressive. He finishes his vase and put it with its little brothers waiting to dry, that’s it, in 20 minutes he made a huge vase. After showing us everything he made, some of his creations were really beautiful, we get back in car, for good this time, we hit the road to Arusha, our heads full of memories. You get it, we had an amazing time learning all about coffee, pottery, and discovering the waterfall and the tanzanian food. If at first I wasn’t really interested in coffee, my conclusion of that half day with Innocent and Kaaya is more than positive. I would never imagine having so much fun preparing my cup of coffee or some ugali! So if you stop by Arusha during your trip to Tanzania, it’s the chance for you to stop by Peace Matunda to discover everything they can show you! Pick up trekking boots in case it rains! Don’t hesitate talking about your experience on the website and around you when you get back home!